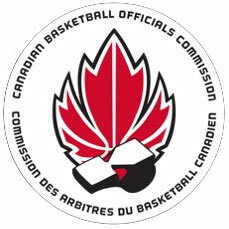 DEADLINE AUG 24: Six $500.00 scholarships are awarded annually to student officials in an open cross-Canada competition. The scholarships were created to honour Bill Ritchie of New Brunswick and Bryan Nicurity of Saskatchewan, both of whom are past Presidents of CABO and both Ted Earley Award recipients. Both Bryan and Bill are honoured members of the Canadian Basketball Hall of Fame. Six $500.00 scholarships are awarded annually to student officials in an open cross-Canada competition. The scholarships were created to honour Bill Ritchie of New Brunswick and Bryan Nicurity of Saskatchewan, both of whom are past Presidents of CABO and both Ted Earley Award recipients. Both Bryan and Bill are honoured members of the Canadian Basketball Hall of Fame. Applicant must be a registered member in good standing of a Provincial Association and of CABO. Scholarships are available to both male and female applicants. Produce a letter signed by a Provincial Executive member to certify the applicant is a member in good standing. Produce a student ID certifying the applicant is a full time student at a University or College. Students entered in trade apprenticeship or upgrading programs are eligible but must verify full-time status. Applicants can hold other scholarships or bursaries in conjunction with the CABO scholarship. Applications must be received by the CABO judging committee by August 24 of the given year. Student officials wishing to apply for a scholarship should fill out an application form and include all necessary documents to Stacy Hawash - stacyhawash@gmail.com who in turn will verify the application and forward it to the CABO judging committee.